Did you forget to get a Valentine’s Day card today? 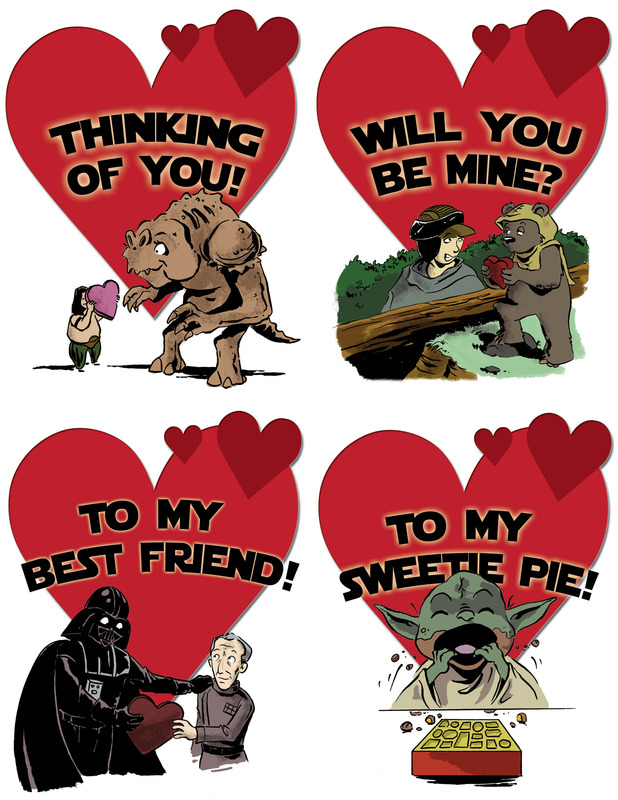 Well no need to run to the store, just point your browser over to the website of Christoper Tupa and print out one of his hi-res Star Wars Valentines Day Card. Choose from 4 unique cards all with different sentiments and different characters. This is your opportunity to show your love for a person AND Star Wars with one piece of paper! It is guaranteed to make the various geeks in your life very happy. Don’t have a printer? No problem! Thanks to the magic of the internet you can just “e-mail” one these delightful cards to that special person in your life. So do yourself a favor and head over to Tupa’s website. You don’t need to be a jedi with space sorcerer powers to make today a little more special. And more important, a little more Star Wars-y. Want your very own Clash of the Titans Bubo the Owl?